The new Women’s Empowerment in Agriculture Index (WEAI) was launched on 28th Feburary 2012 at the UN Commission on the Status of Women in New York and again on 7th of March at the Houses of Parliament in the United Kingdom. 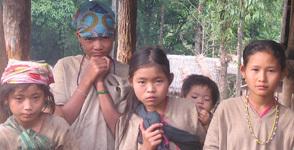 The index was developed in partnership between the US Government’s Feed the Future initiative, the United States Agency for International Development (USAID), the International Food Policy Research Institute (IFPRI) and the Oxford Poverty and Human Development Initiative (OPHI), University of Oxford. 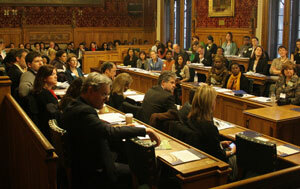 To mark International Women’s Day, over 100 senior government officials, academics and NGO representatives gathered at a briefing at the Houses of Parliament in London, UK, to hear about the groundbreaking new approach to measuring women’s empowerment and inclusion in the agricultural sector. The event was co-hosted by the All Party Parliamentary Group on Africa and the All Party Parliamentary Group on Agriculture and Food for Development. The event was chaired by Dr. Camilla Toulmin, Director, International Institute for Environment and Development (IIED). On 28th February 2012, at a USAID/FAO/IFPRI side event at the 56th Session of the UN Commission on the Status of Women, the WEAI was launched for the first time to an audience of nearly 500 delegates. The roundtable discussion was opened by Ambassador Melanne Verveer. A video from the roundtable discussion can be viewed on the UN Webcast website.